The first project of 2018 is going to be the mudroom, and I don’t think I could be more excited about it. I’m ready. I’m ready for some storage and organization, ready for something new and pretty, and mostly just ready to have another finished room in the house. As a reminder, here is what our mudroom looks like at this exact moment. 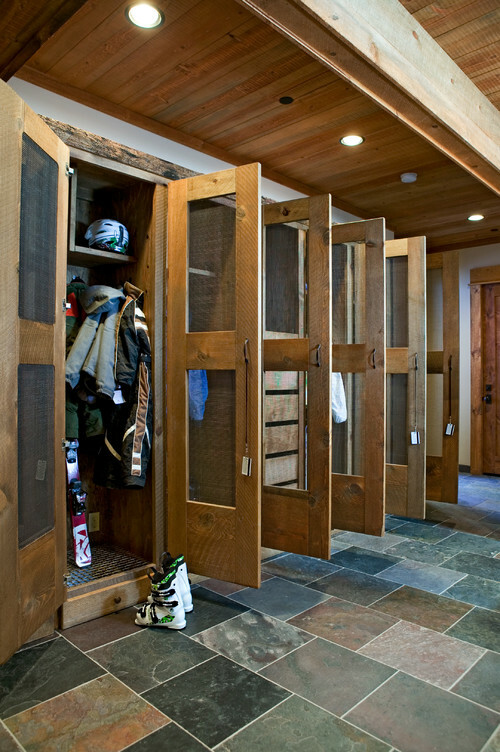 At first the plan was to custom build something like the below photos – six wooden lockers, built to take up the entire wall. They would have individual drawers for that all-important entryway shoe storage, a cubby with hooks above, and narrow bench to sit on. I knew I wanted the cubbies to have doors (to hide the mess inside) but not something too solid…I was thinking expanded metal or something else kinda cool and different (like the next two photos). I wanted to try to make them wooden, but if that was too hard we would just make them paint grade. So that has been the plan for a couple of years now. 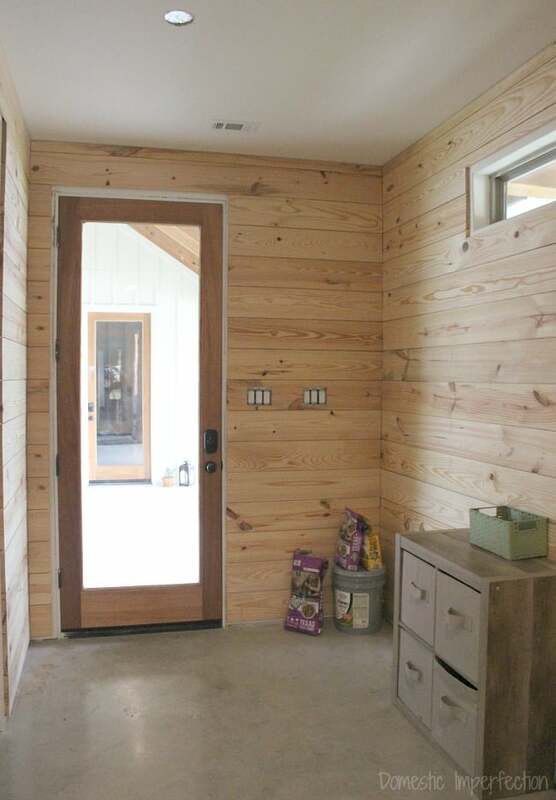 But now that the mudroom is next on the project list it is sounding like a really big task. Admittedly, this is mostly an Adam project, and I could tell he was really not looking forward to it. So one night I was determined to figure out a much simpler way to accomplish the goal AND make it a fun project. 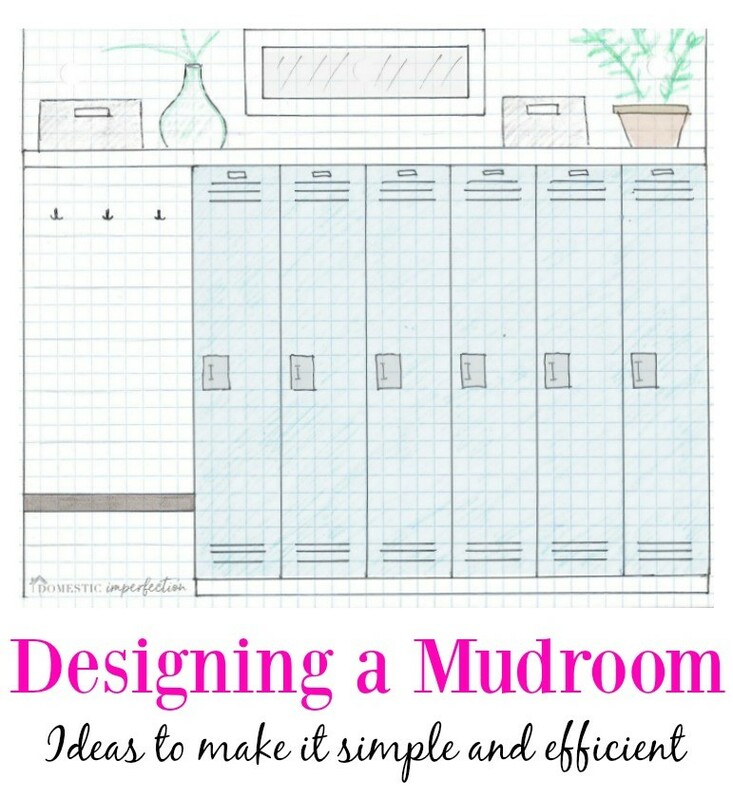 So around 1:30 AM one night was sitting on the floor in the mudroom, perusing Houzz for ideas and measuring things everytime I found an idea I liked. 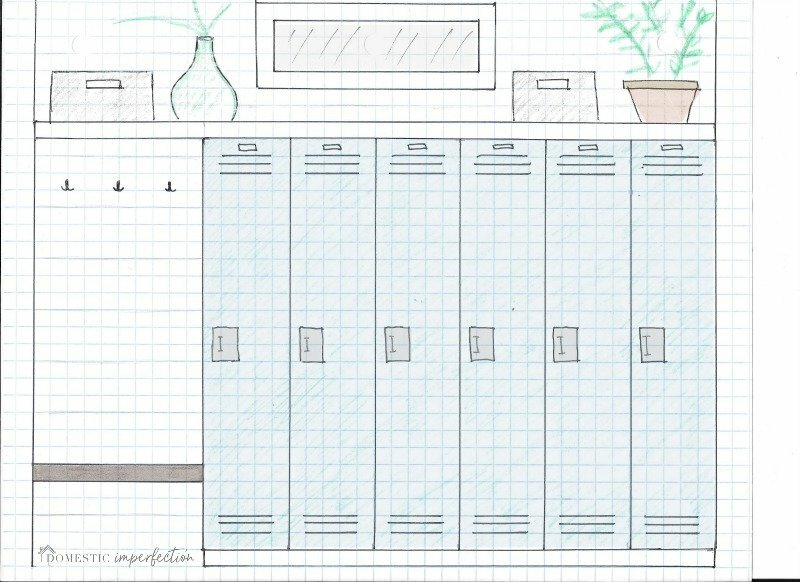 Then it hit me…why not use REAL lockers? Like the metal ones you use in school? They would be prebuilt, and then we could just build them in to look pretty and custom. So I dove into locker research and found that they come in standard sizes, none of which would correctly span the distance in our mudroom. BOOO. When I did finally get to tell Adam about my idea I was hoping he would jump up and down and squeal with me about how wonderful and simple it was. He didn’t, at all…but he did the Adam version, which is to immediately grab a tape measure and start measuring things and talking ideas and specifics with me. This is my favorite part of a project (besides the final product of course), when things are finally coming together and Adam and I are both excited. 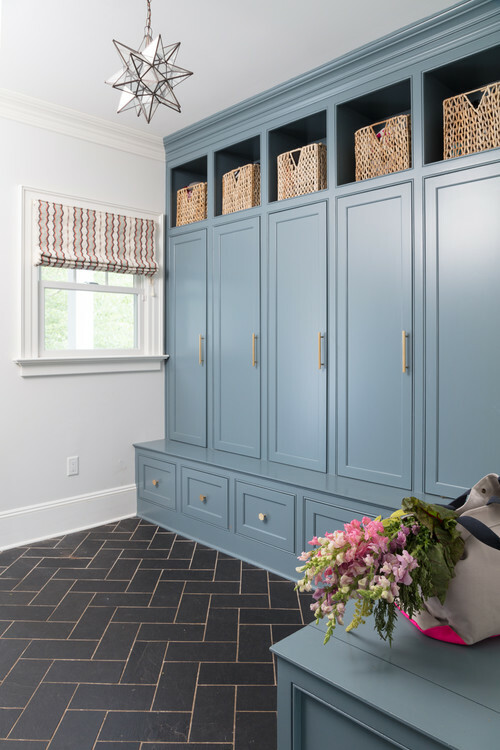 To the left of the lockers, near the mudroom door, will be a wooden bench with hooks behind it for guest coats and purses. The best part of this plan is that because of the open bench we won’t be having to move the switches and outlet on that wall. That would have been a big deal, and now it’s not an issue at all. 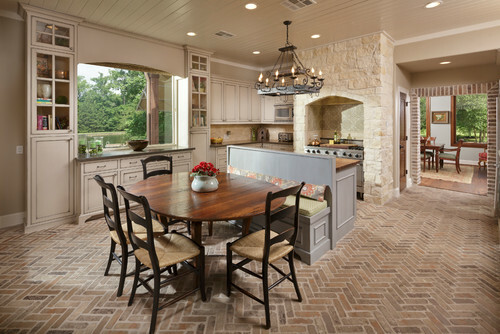 The floor is going to be brick herringbone, and I plan to use brick veneer from Home Depot. I ordered samples this morning, all I know is that I want something in an earthy color with a light grout, no red brick or anything like that. 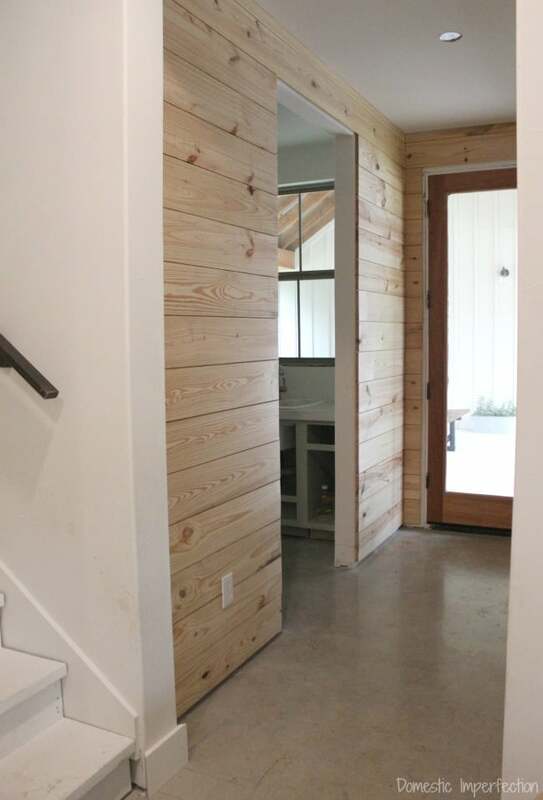 The planked walls will be painted white, and the opening to the laundry room and bathroom will get a wooden barn door (which will probably stay open 99% of the time). To the left of that I want to do a command center for the boys, something with their chore charts, house rules, sports schedules, etc. So that’s the official plan, I can’t wait to get started! Want to see how it all went down? Click the links below! It sounds wonderful! Not only easier, but it will be a bonus to have a place for visitors’ coats and such. I also think it will be really gorgeous! I can’t wait to see the floor with the white planks, that’s going to look amazing. Yay for suddenly attainable-seeming jobs! 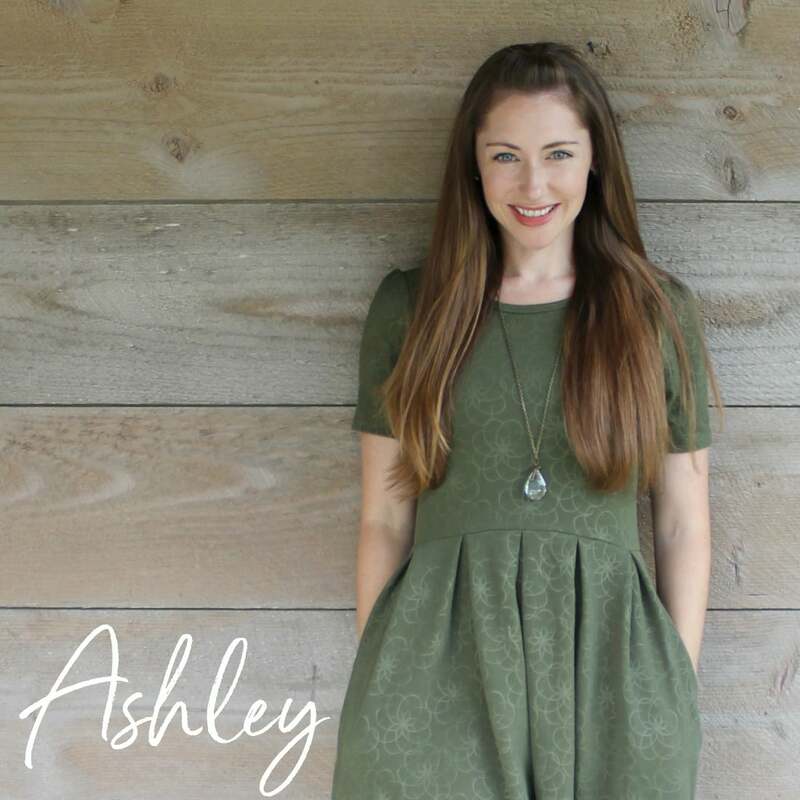 What a cute video of your creative process! I definitely do not have a grout cleaning tip to share, I just know that I really prefer the look of lighter grouts with brick over the gray grout. I’m pretty sure they make grouts with built-in sealer (still in the research phase of this project), but if not I’m just going to embrace the change. 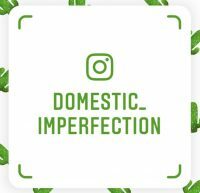 Excited to see how it all comes together. I’m taking notes! In my own high school locker, I had a few repositionable shelves that I put in there. They did a great job of holding some shoes, my purse, etc. They basically stayed in place by friction, so you couldn’t put anything too heavy on them, but they were great for helping to organize the long and narrow space and make it more useful for me. 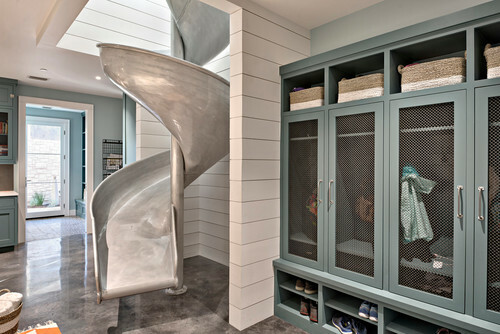 You could probably find something similar, especially if you want to make more shoe storage. I have never seen anyone so dedicated and inclined towards their ideas and views. I must say I adore your dedication. 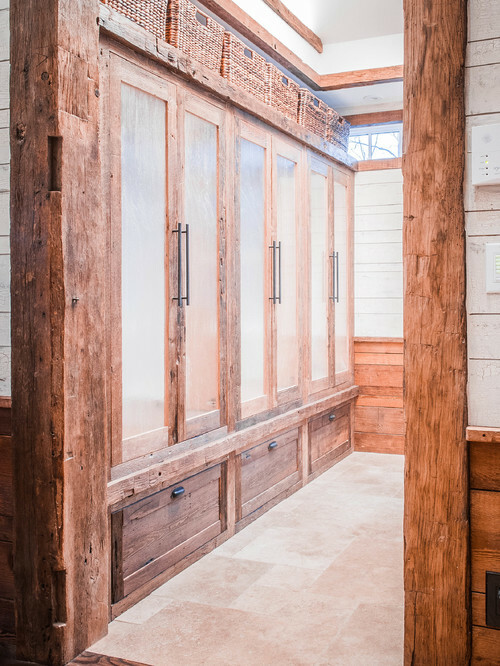 Hope your mudroom looks exactly the way you want it to. 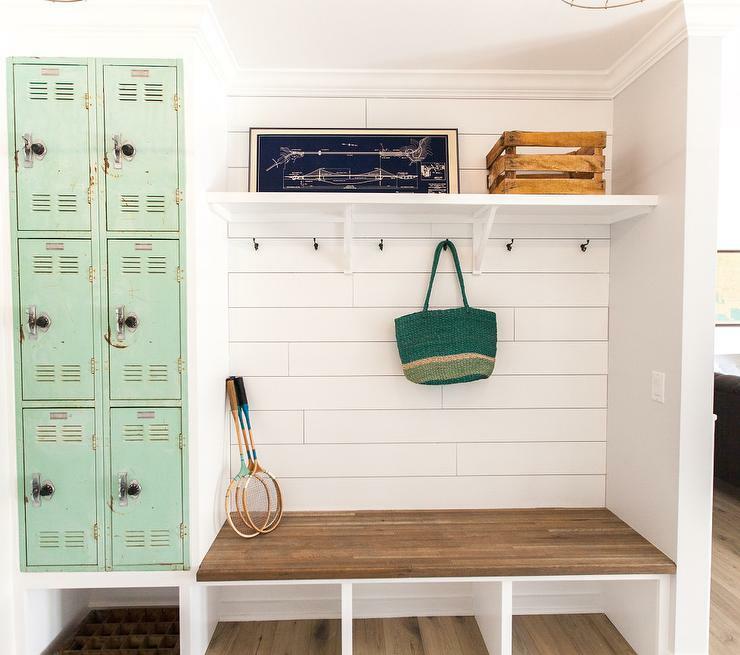 Real good choice of the brick floor and the lockers for the rustic look! So what about the slide in the one photo. Maybe you should incorporate it into your house somewhere. Your plans sound amazing, I can’t wait to see how it’ll all turn out! This sounds truly amazing. The idea of using real lockers never cross my mind, but it’s actually great. Can’t wait to see how this will work out. Yessssss. 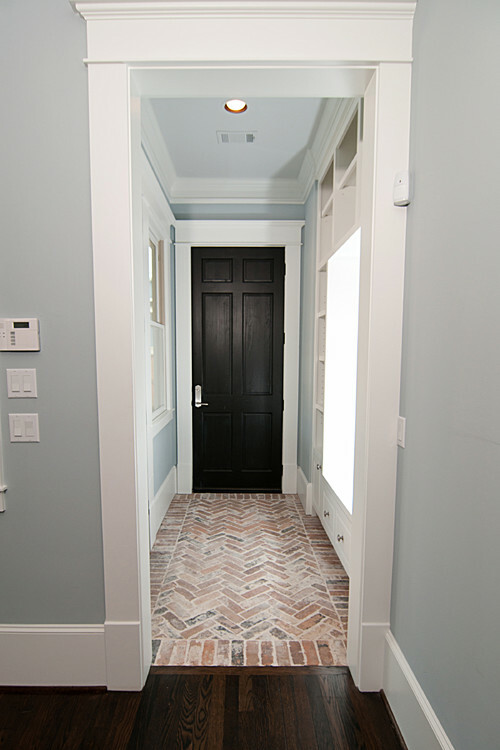 I’m mudroom dreaming right now too and suddenly realized I was looking at throwing $2500+ at this project. Yes, I want it to look nice, but mainly I want to organize all our junk! I need to tone it down. It’s going in the kids’ playroom for Pete’s sake. Love your locker idea! I was looking in to this topic. It is a great place for the visitor. These pictures are really nice. I enjoyed reading your perspective on official looking rooms. Thanks a lot for sharing this.